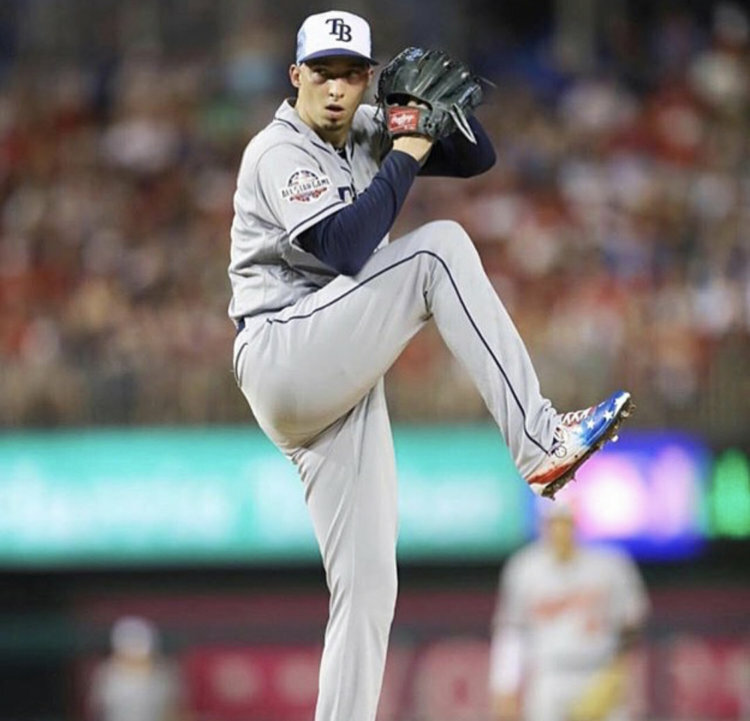 After a dominant 2018 season in which he racked up 221 Ks with a 1.89 ERA, Blake Snell earned the distinct honor of being the first WPW follower to earn a Cy Young Award. Not only did Snell have one of our favorite Rawlings gloves of the year, but he is one of the first players consistently rocking hand-painted customs to take home some major hardware. In addition to a regular rotation of NIKEiD models, Snell relied on Plead the 5th Customs (@pleadthe5th_customs) to keep him laced. 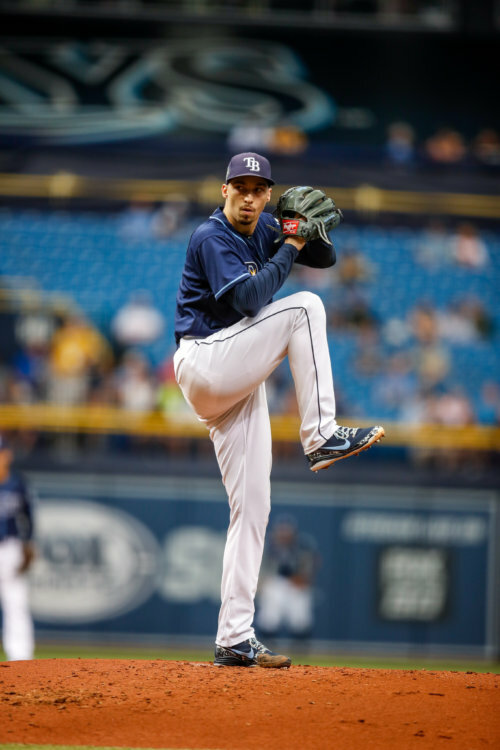 Snell’s footwear of choice was the Nike Air Clipper 2017, his customs representing his various interests in creative ways. 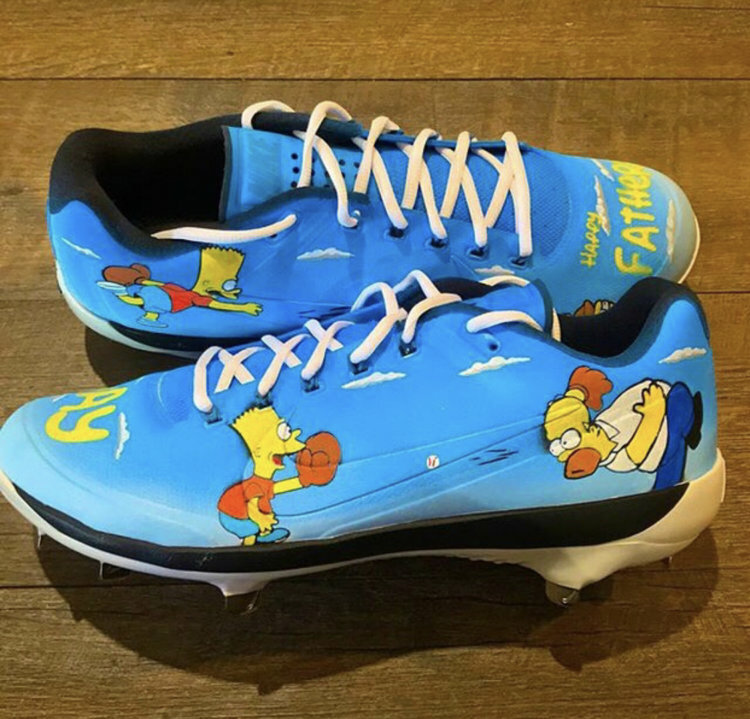 For father’s day, he wore these beauties paying homage to The Simpsons, featuring Bart and Homer playing catch. Simpsons fiends might need these. 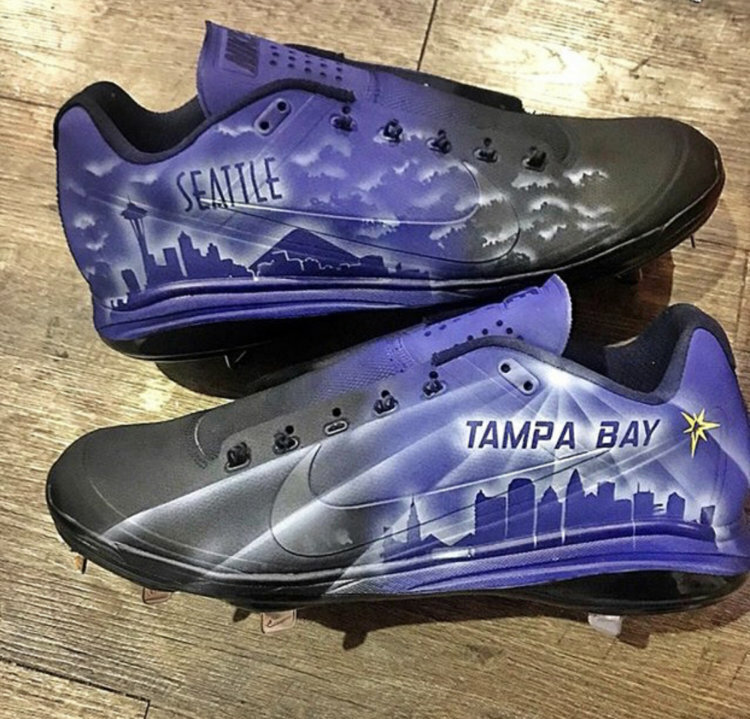 A native of Seattle, WA, Snell repped both of his hometowns with these beauties. That purple to black color shift is a work of art, and the light effect adds detail that takes them into the stratosphere. 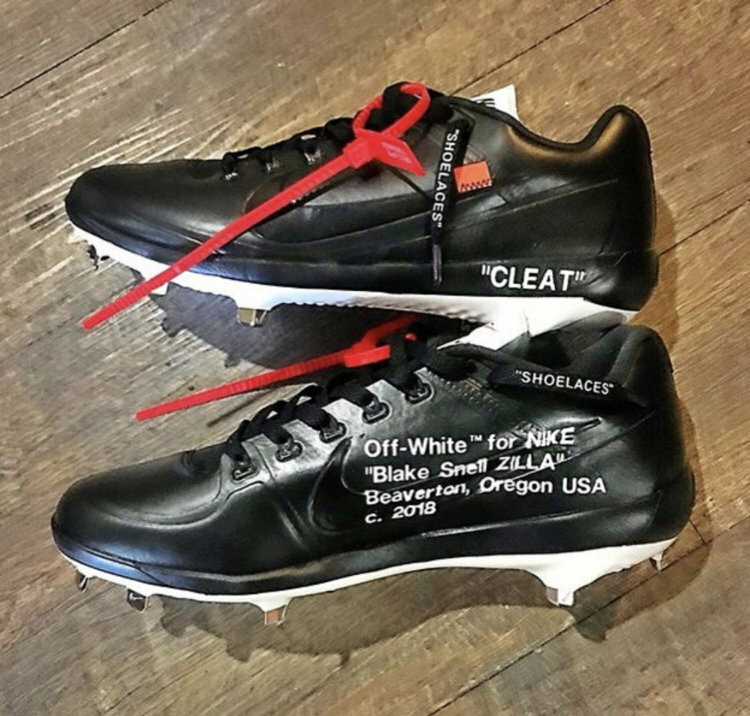 Virgil Abloh’s work with Nike has sparked a shoe culture craze, and Snell hopped on the Off-White train with these customs based on “The Ten” collaboration. These take a more subdued approach than Snell’s other customs, and with great results. They creatively incorporate the design language of the inspiration material. With Abloh already working on a soccer collaboration with Nike, maybe we’ll see something come to the diamond. These throwback inspired Clippers are the cream of the crop. All of these elements work so well together. Those original “Devil Rays” rainbow uniforms are a modern throwback. 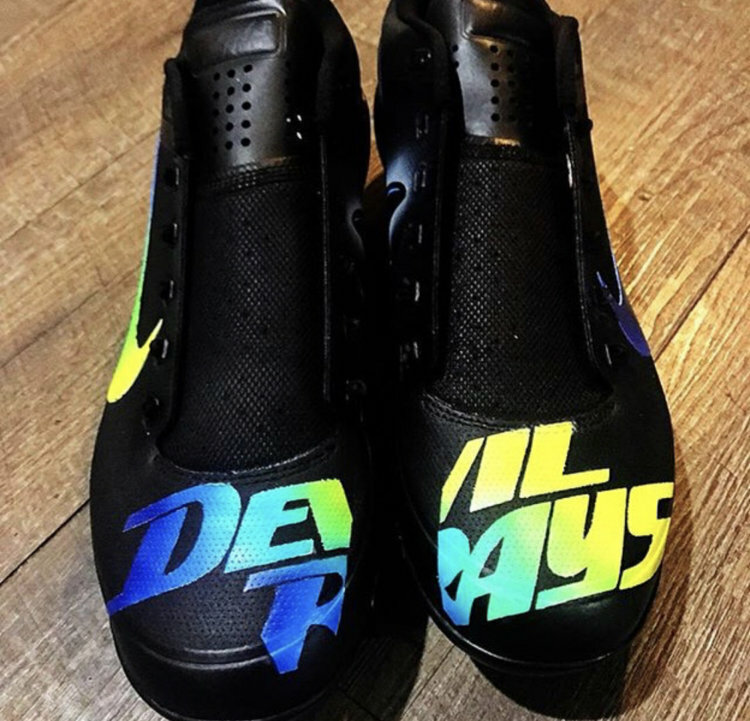 The neon color shift on the swoosh, combined with the use of the original “Devil Rays” logo across the forefoot really pops. 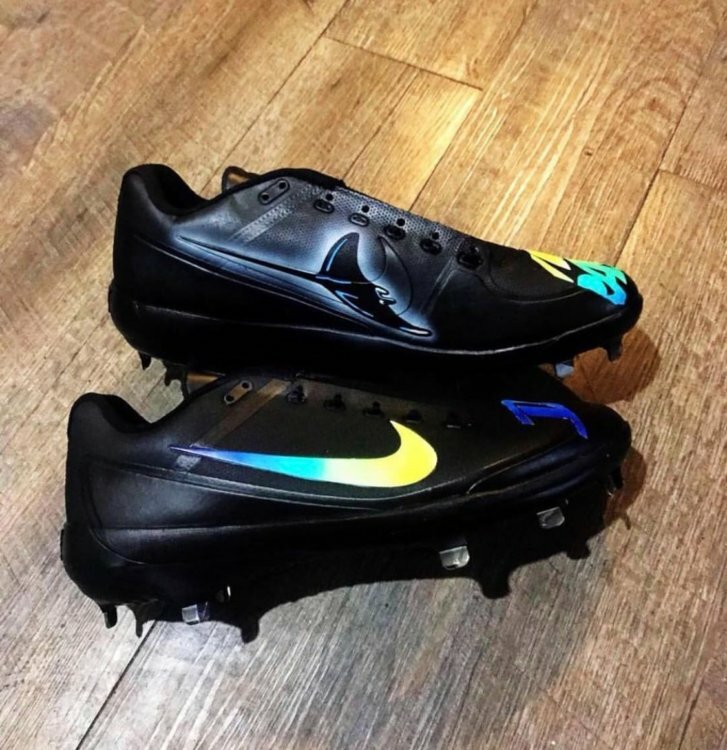 Bonus points for the Devil Ray logo flying across the medial side of the cleat. 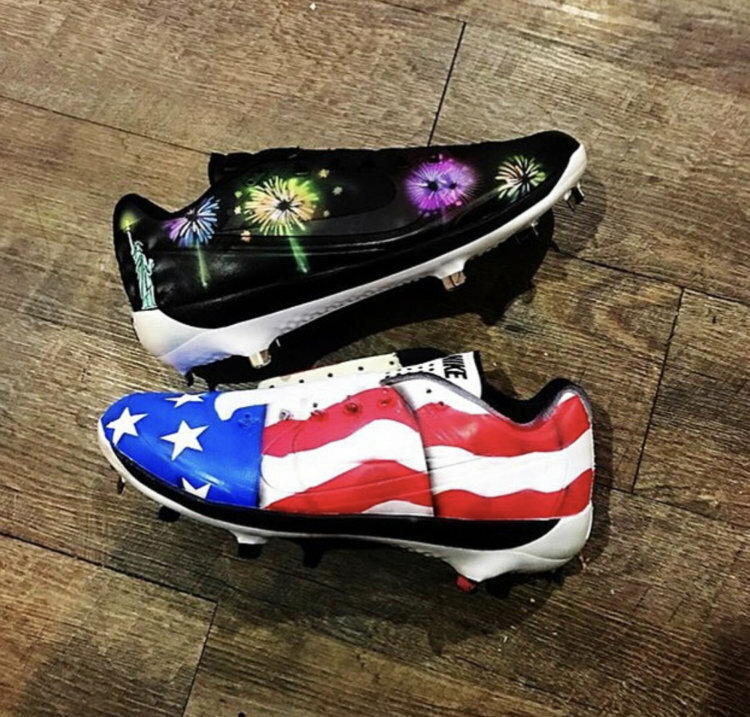 Snell’s Independence Day cleats had a two-faced look, with the fireworks and Statue of Liberty adding subdued swag to the more in-your-face flag that’s been done so many times before. If it were up to us, the fireworks would have wrapped around the entire cleat. 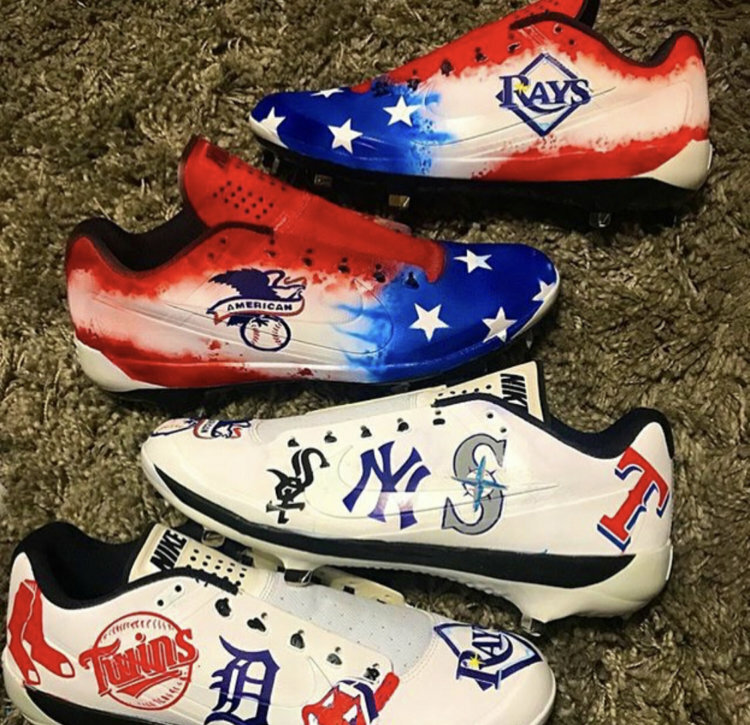 After erroneously being left off the All-Star team for a brief time, Snell’s cleats for the Midsummer Classic celebrated the American League and its teams. They stood out amongst Nike’s standard issue All-Star game fair. 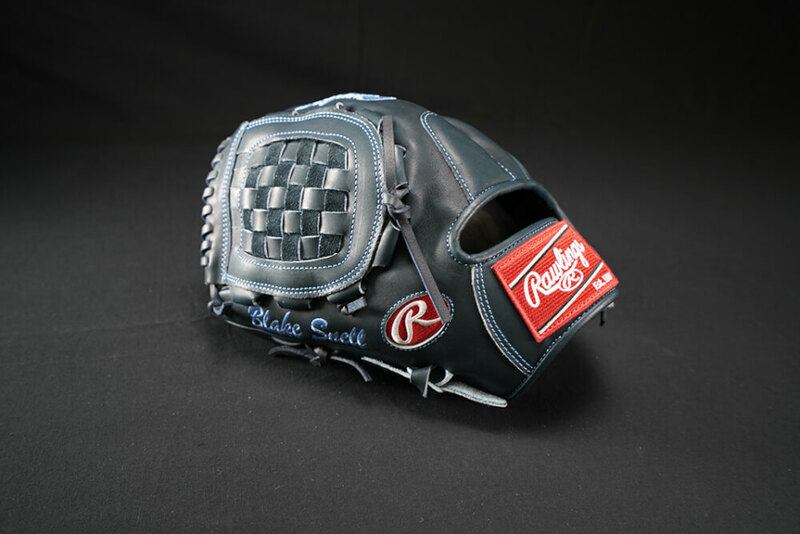 Paired with his beauty of a Rawlings Pro Preferred PROS12-3KN, Snell had it going on all levels this year. Which Snell custom was your favorite?